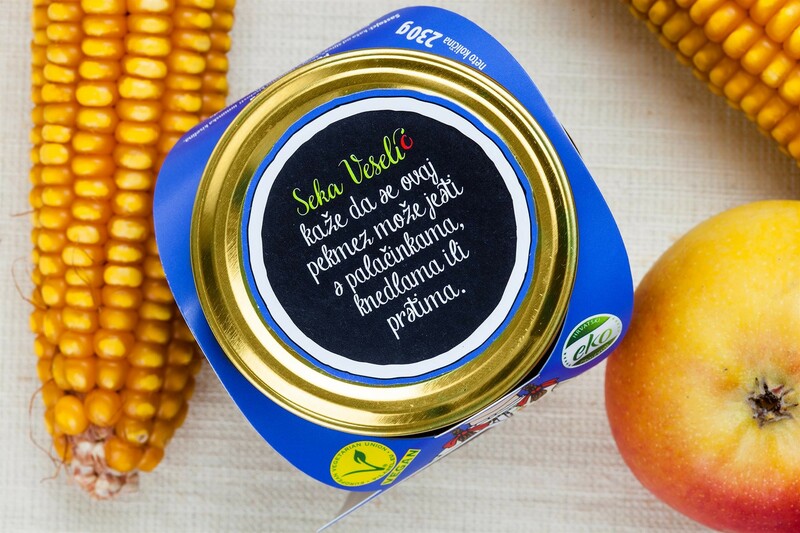 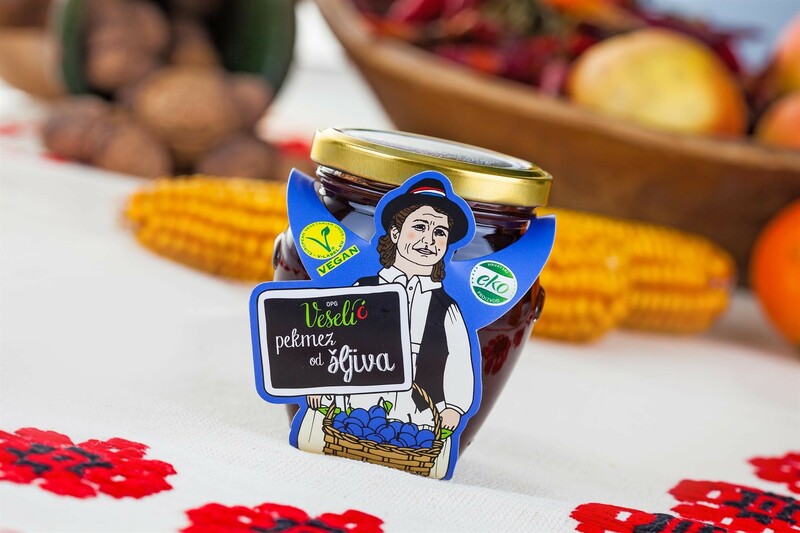 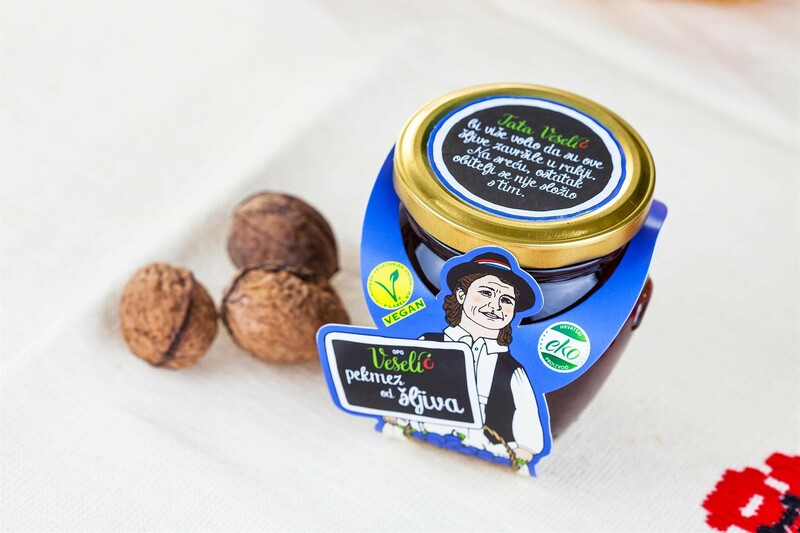 To create a design for the Veselić family farm products, which have been widely distributed for the first time. 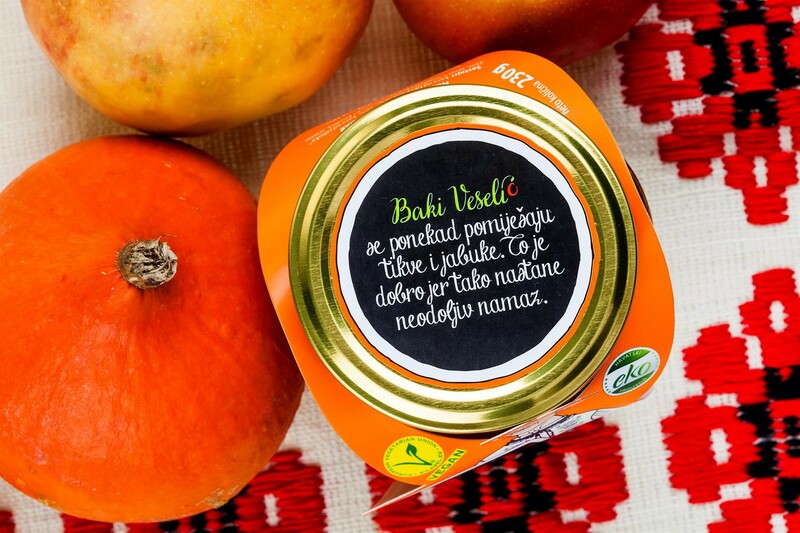 All the members of the Veselić family create delicious products from fruit and vegetables with their diligent hands. 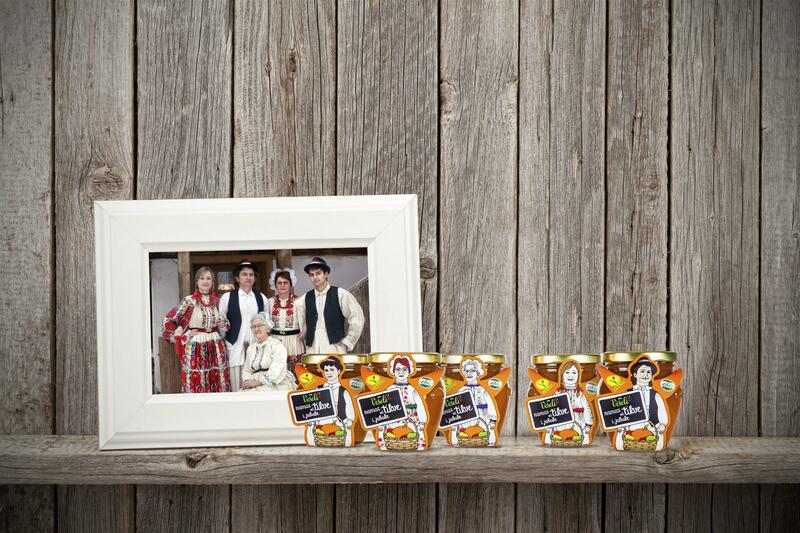 We had no doubts when it came to creating the packaging – each of them should get their deserved spot. 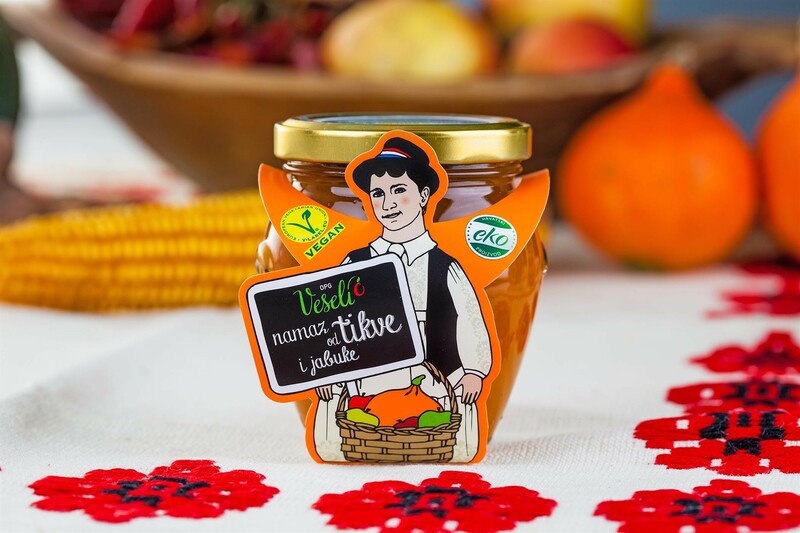 We dressed them in traditional Croatian garments, which they are proud of, and gave each one of them a chance to say what they think of the product. 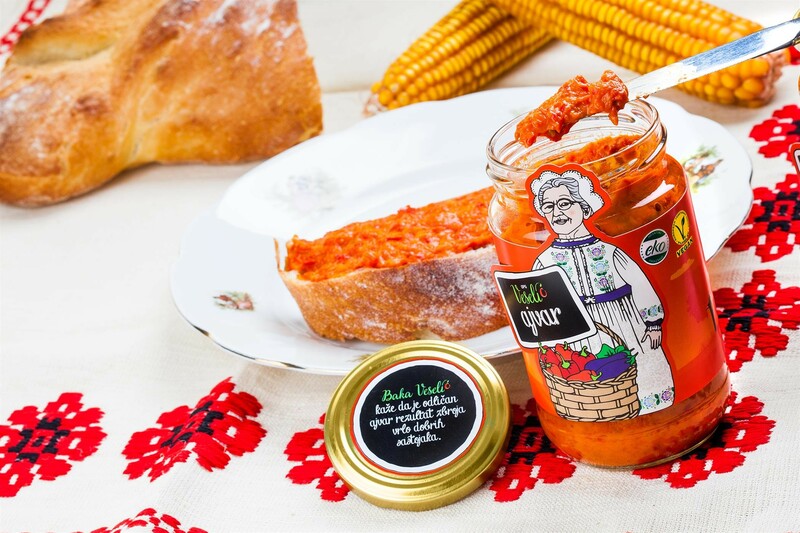 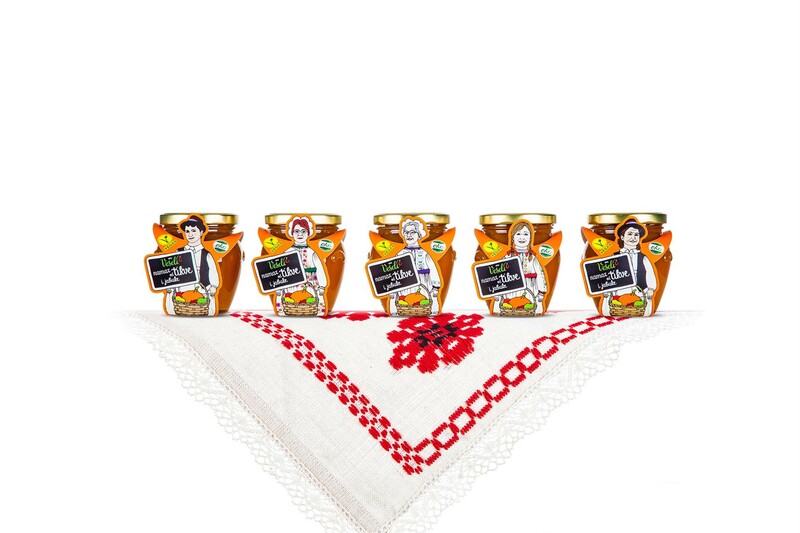 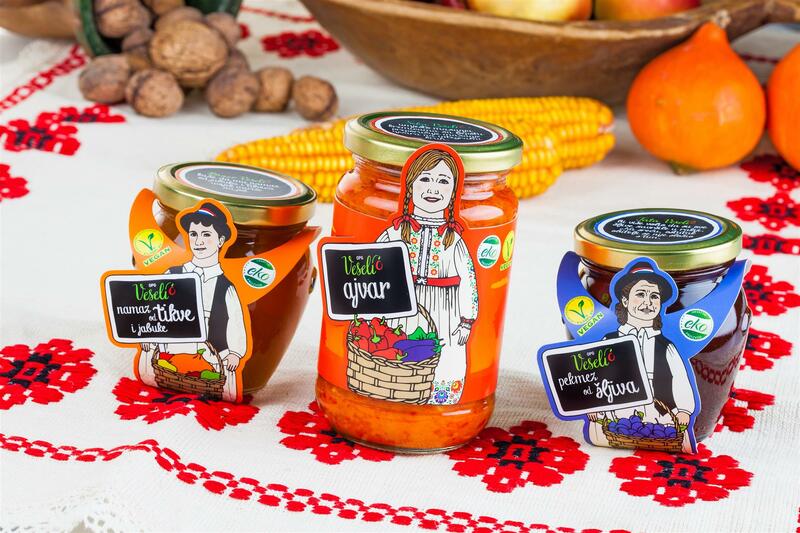 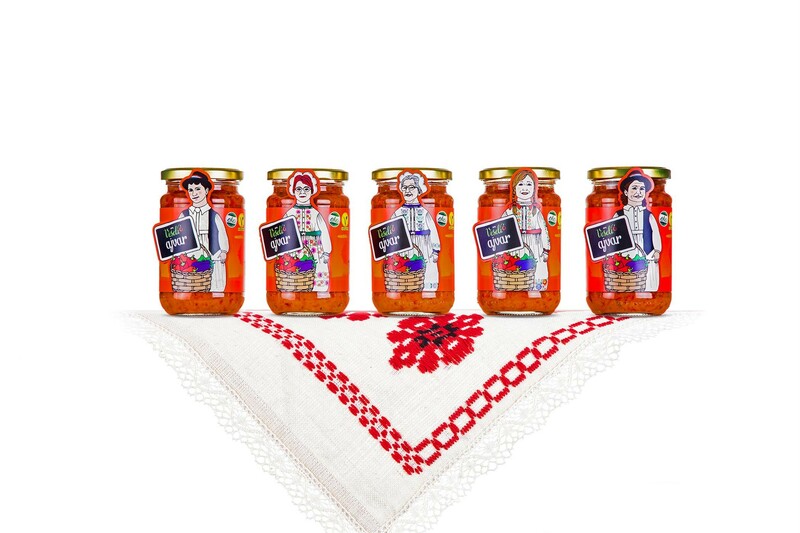 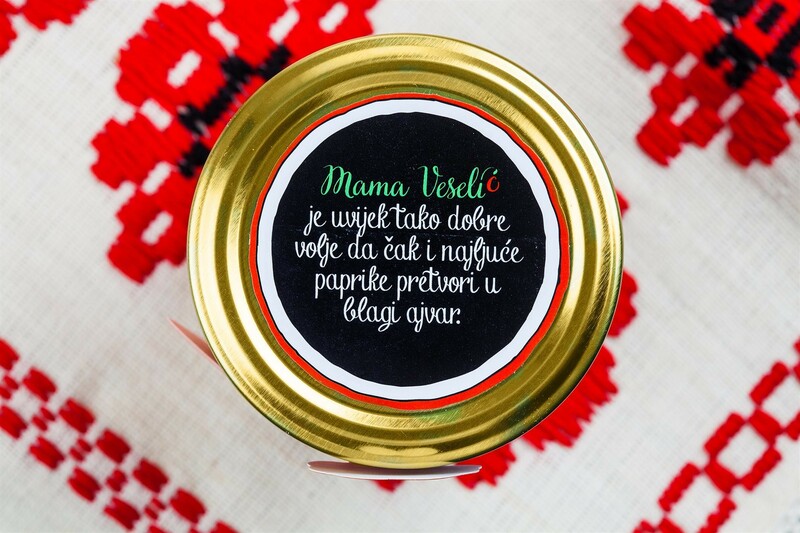 The shelves are now teeming with joyful family atmosphere, and you will understand why the faces of the entire Veselić family are beaming when you try the contents of their jars.